I was going through my Edelweiss shelf and realized that for a good part of 2016 I read books, wrote a one sentence review on Goodreads, and promptly forgot to go back and add coherent thoughts. 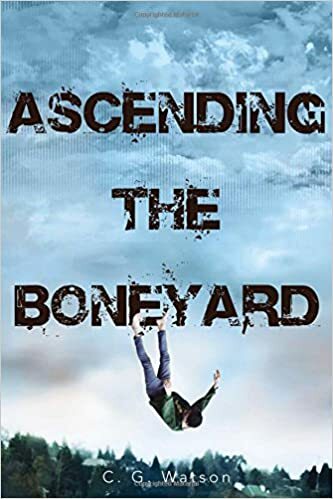 In my defense, Ascending the Boneyard is a very forgettable book. This novel begins with the awful home life of Caleb Tosh. His brother is disabled, Dad is an awful human being, and his mother is unable to cope. Caleb's way of dealing is with a video game, The Boneyard. He spends all of his time in The Boneyard and it gets to the point where both Caleb and the reader can't tell the difference between the game and life. I'll be real, this book was confusing. It was jumpy, fragmented, and hard to follow. I read once that authors use unclear words when they don't know what they're trying to say. This entire book felt like the author wasn't sure what they wanted to say. The author wanted to elicit emotion from the reader, especially with everything Caleb is going through, but I didn't care because the story was too convoluted. There were elements of a story here but it was never cohesive. I was left feeling baffled rather than feeling bad for Caleb. Overall, I think I'm being generous giving this book two stars. I'm glad this book was short or I would have given up on reading it after the first 50 pages.